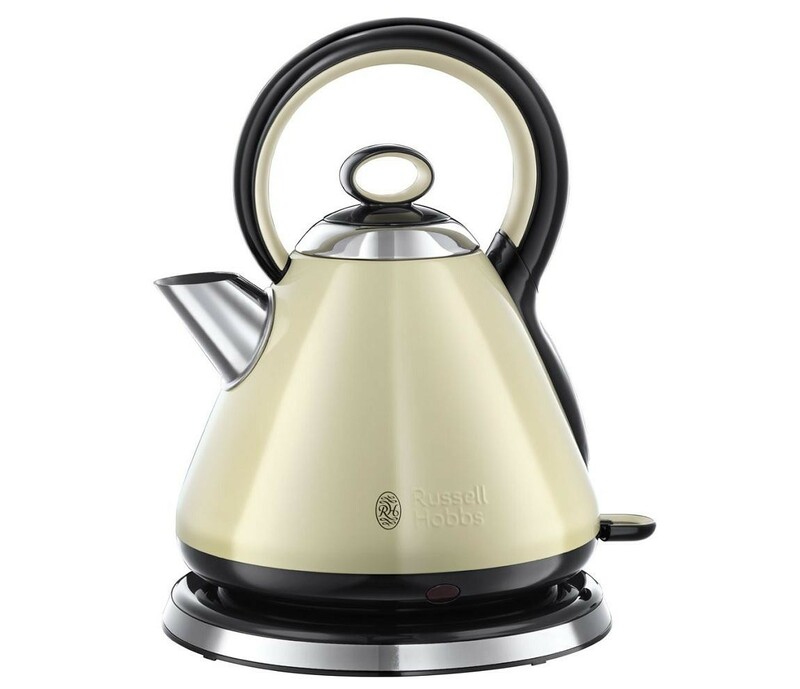 The Russell Hobbs 21882 Legacy Kettle 1.7 Litre Rapid Boil Zone Cream is the perfect kitchen appliance for helping you wake up in the mornings with a delicious hot coffee or for delivering that tasty hot chocolate on a cold winters night. The large 1.7 litre capacity allows the whole family to enjoy a hot drink before needing a refill, the rapid boil zone feature allows you to boil a cup of water as quickly as 45 seconds and allows you to donate 1, 2 or 3 cup volumes to boil just the amount of water you need. The perfect pour spout enables you to fill your favourite cup without making a mess on your worktops while the removable anti-scale filter can be washed for that fresh tasting cup every time. The 360 degree base makes this kettle easy to use for both left and right handed people and the carry handle makes it easy to pour.